Travel can be stressful for everyone – a delayed flight will test the patience of even the most seasoned traveller. 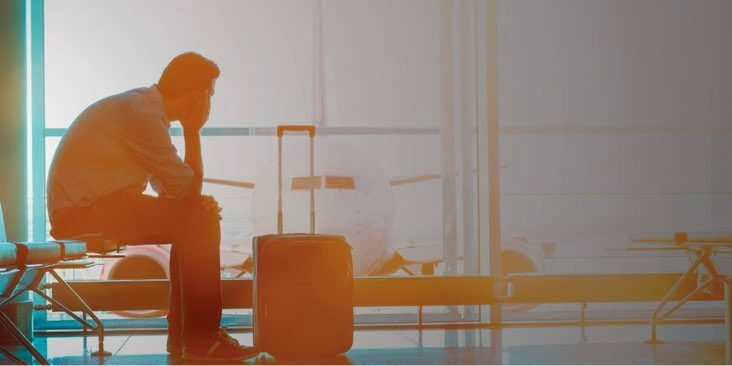 But, whilst travelling, there are some things which can stress us out differently depending on our own personality type. If you’re an introvert, then it is likely that the constant noise and crowd levels are going to take their toll on you differently than it would on an extrovert. When it comes to catching up with distant friends and family, extroverts may find themselves getting worked up when they are unable to. With holiday and travel season fast approaching, you may well find yourself getting stressed out on your next holiday. Here are some tips on how you can relax and recharge during your travels. Travelling and holidays can be very full on. Whether you’re exploring new cities or have a strict event schedule, this hecticness can make your brain feel wired and you might find yourself lying wide-awake at night, even though you’re tired. Try to wind down before you go to bed in order to relax your brain. Read a book, have a shower or even meditate – you’ll find that this goes a long way in helping you to fall asleep. If you are staying in a hostel, be sure to pack a travelling pillow and soft fabric, such as a sheet or a warm scarf, in order to truly relax. One of the reasons why so many of us feel stressed and tired when we return from holiday is because we are accustomed to our everyday routine and this gets knocked when we are away. Our brain knows the small indications and triggers that we use to signal it’s time to relax or go to bed and when these don’t happen, our brain can become confused. Try to stick to your normal meal times and look to go to bed around the same time each day. Maintaining a normal routine will help you sleep better and plan your day. Hostels, hotels and resorts can be difficult places to relax and unwind as other people are also on holiday. This makes finding somewhere quiet to chill out difficult, or it may be hard to get to sleep at night because of the loud noises. There are many ways to block out disturbances during your travels, such as using earplugs, travel pillow, eye masks or a soothing podcast. Finding something which helps you unplug for a short time in order to recharge is a must.